It is always fun to open up the mailbox and find a postcard- a snapshot of another place, a memory we can hold in our hands. 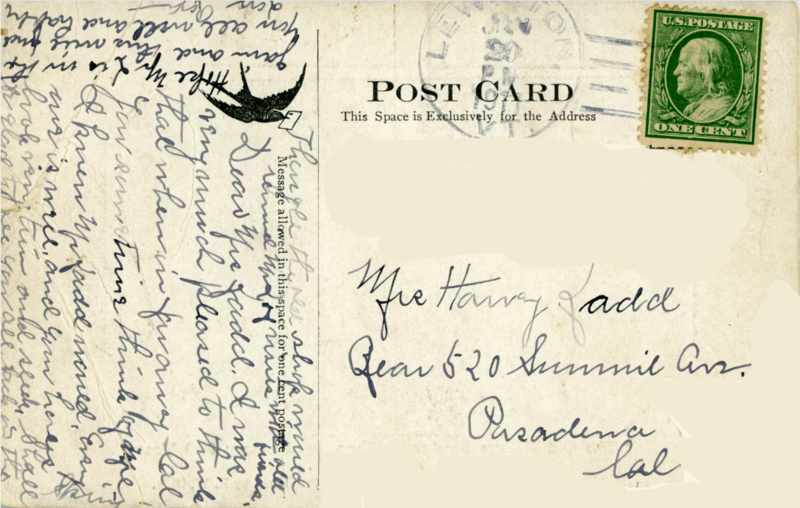 However, while few of us today would be particularly excited by receiving a text or email, in the early twentieth century the postcard played a similar role to these modern forms of communication, providing the ability to send a quick message without the time and effort of writing a letter. 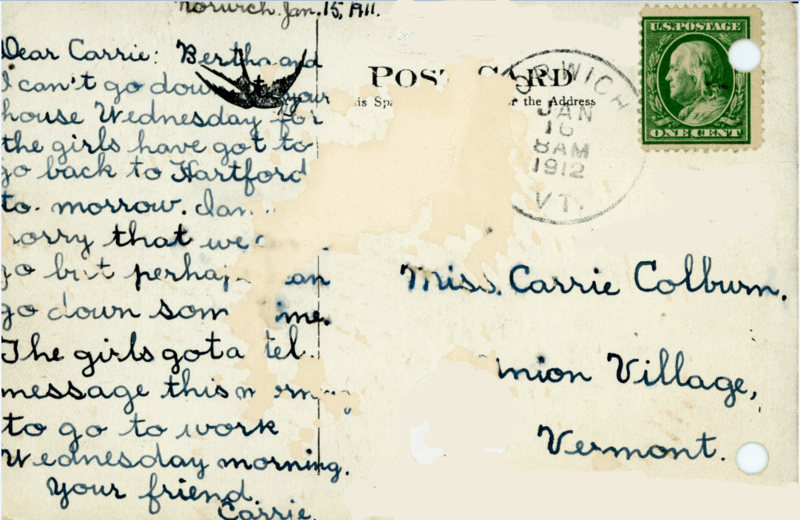 Individuals and families would often have kept albums of postcards for later entertainment. The period of 1905-1915 is considered the “Golden Age of Postcards.” In 1913 the U.S. Post Office reported that nine hundred million postcards were sent. They only cost one cent to mail and could be bought almost anywhere, including Norwich. 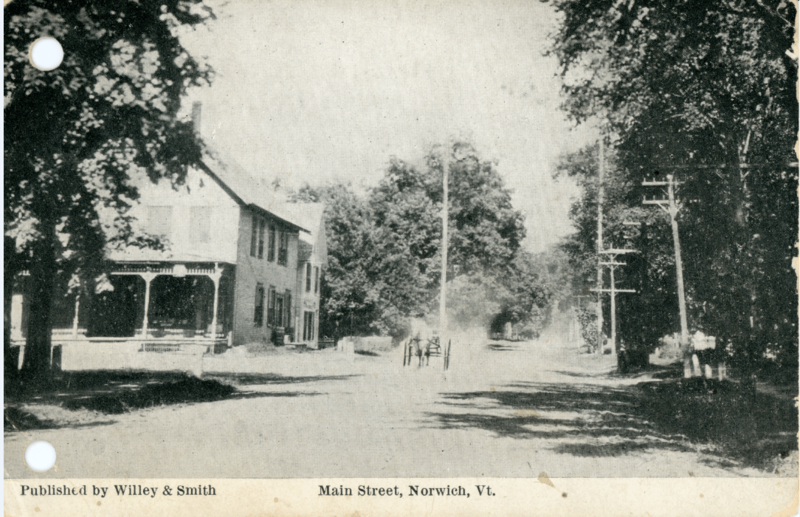 This postcard gives us a view into the Norwich of long ago as a horse-drawn carriage makes its way down Main Street. 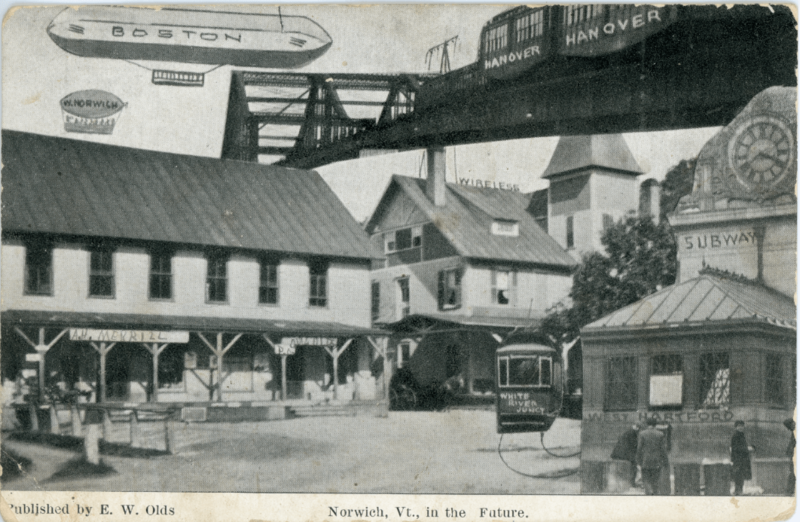 Another postcard includes a fun idea of what Norwich’s future might look like. 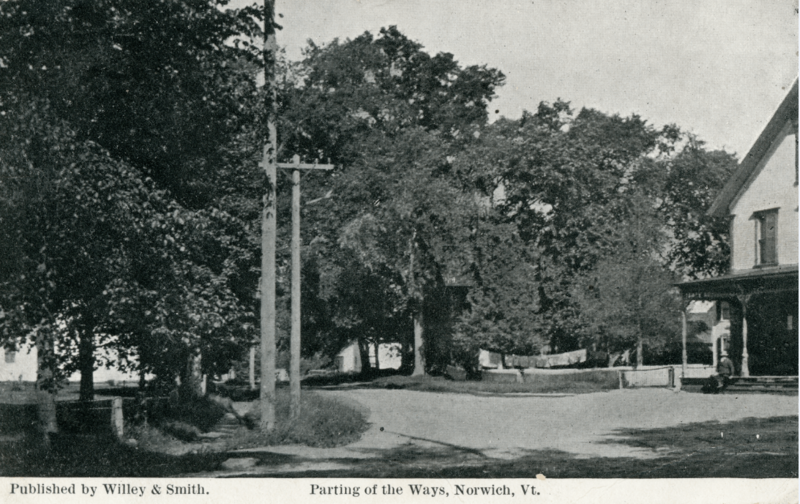 …this one was just a quick message between friends in Norwich and Union Village. 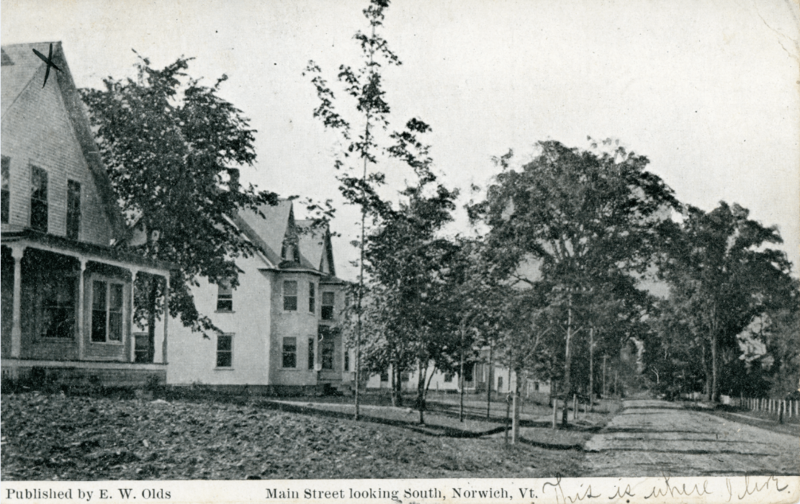 These postcards preserve charming views of a by-gone time in Norwich’s history.